Hello, Education is my passion. I am currently an online ESL teacher and a certified tutor with Varsity Tutors and Cheggs Tutors. I have a Master's Degree in Educational Management, a Bachelor's Degree in Business Administration/Human Resources Management and ten (10) years experience working in the educational arena - to include both teaching and tutoring. 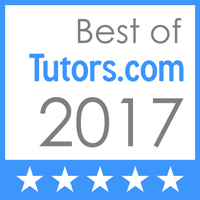 I have tutoring experience with all ages (K-12), undergraduate and graduate students.The subjects that I love tutoring are (elementary english, reading, math, writing, and phonics). The college courses that I tutor are (GED, writing, human resources, and business.). I enjoy helping other students reach their full learning potential. When it comes to tutoring kids, I am a fun, energetic, and patient teacher/tutor for kids, but with my older children and adults, I take a different approach that best fit their learning needs. I use whatever tools that I feel are needed to help my students succeed, i.e., flashcards, props, books, etc. Under my leadership, all students are successful. I look forward to helping new students to suceed with Tidewater Tutors. Education is my passion and I value being able to help students succeed and to reach their full learning potential. I am currently an ESL online teacher for SayABC and have worked as an ESL online teacher for DaDaABC. I also am a certified tutor with Varsity Tutors and Chegg Tutors. I have a Master's Degree in Educational Managment. I have over 10 years experience working in the eduacation arena in various environments. I have good expereince tutoring elementary and middle school math and reading. I also have excellent skills and experience tutoring phonics. Throughout my college career, I was inducted into four "national' honor societies for my academic achievements (Listed on my resume). I was selected for the cover of 2015 National Magazine - Women of Distinction, for professional and academic achievments. Also, inducted in 2015 "Who's Who" Registery for professional and academic achievements.